So, I have been busy again these past months. This time is quite different as I have done a lot of creative projects that really help set my goal for next year. It's November and I already think about next year with enthusiasm :D I have so many things to share on this blog, which will take some time to talk about them all. I'd like to put everything in details as each experience means so much to me. They boost up my confidence on my creative career, something that confirm me I'm walking on the right path of my life. • I did my very first workshop making MerryDay pop-up card. • I had a great experience selling my merry items in a Saturday art market. • I got contacted to be guest blogger for Flow magazine blog in the month of November. How my draw everyday project is important to me. 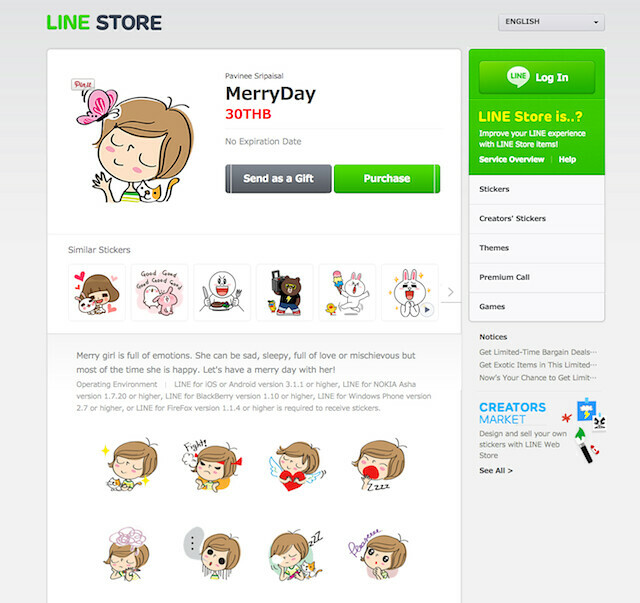 • The picture above are stickers I designed to sell on Line, a worldwide chatting service. If you use the service, you can now purchase them here. See you next post, have a merry day!